Always happy on days such as today. Just got this in the post this morning, I so love books, especially when they come shrink wrapped. 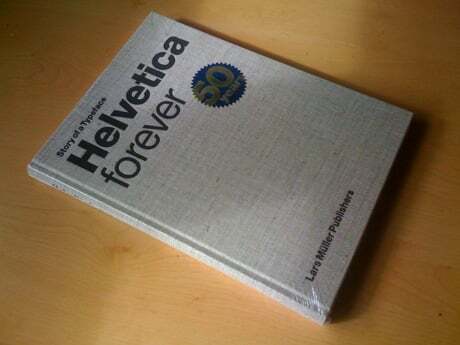 More so when it’s a book on Typography and Helvetica. Which then poses the problem, should I leave it unwrapped or open it to read it? The cover is almost made from this woven fabric, quite extraordinary. So I need to sit on this and figure out what to do with it. Until such time I make a decision, I shall just gaze lovingly upon it.